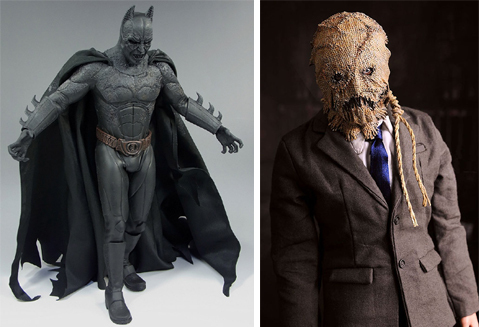 Batman Begins Hot Toys Movie Masterpiece Series Demon Batman and Scarecrow 12-inch Figure Set are now available for pre-order from Sideshow Collectibles. Update: The initial pre-order has sold out, but the wait list is available. The earlier you sign up for the wait list, the better your chances will be of having your order fulfilled. People actually have great success with Sideshow's wait list. Since so many great (and expensive) toys come out over the course of a year, sometimes hard decisions have to be made and pre-orders routinely end up canceled. Damn, that's a lot of stuff! The only Hot Toys toy I have is Bank Robber Joker and he's definitely my prized possession. I wish I could afford more.